When they called Dr Norm Loux from Penn Foundation, his response was, “…come home and we’ll see what we can do for Marion.” The plan was for Marion to be home for a month and return to Trinidad, but “it didn’t work that way. When one member of the family is ill, the entire family is ill.” Soon her husband returned to Pennsylvania with their 2 boys and took on a pastorate position. For the next 10 years, Marion fulfilled the role of pastor’s wife and was the picture of graciousness and immaculate housekeeping. No one knew the internal tumult she was experiencing. When her husband left her in 1972, she continued her healing process with Penn Foundation. “After 27 years of marriage, it broke up. I was alone. Those were hard years.” She provided income for her family by working at Strawbridge’s or other odd jobs while helping to establish a daycare program at her church. She had started nurse’s training after high school but never finished due to her being needed at home after her father’s death. “I helped my mother put my brother through college.” Her brother is now a professor at Bluffton College, but Marion never earned a degree. So what held her steady? “I kept going to church.” In 1972, divorce was uncommon and the people at Grace Mennonite Church didn’t know what to say to her. She often felt awkward and took to worshipping from the balcony. After a few years, she joined the service at the lower level and eventually even taught Sunday school , Bible studies and served as a deacon. 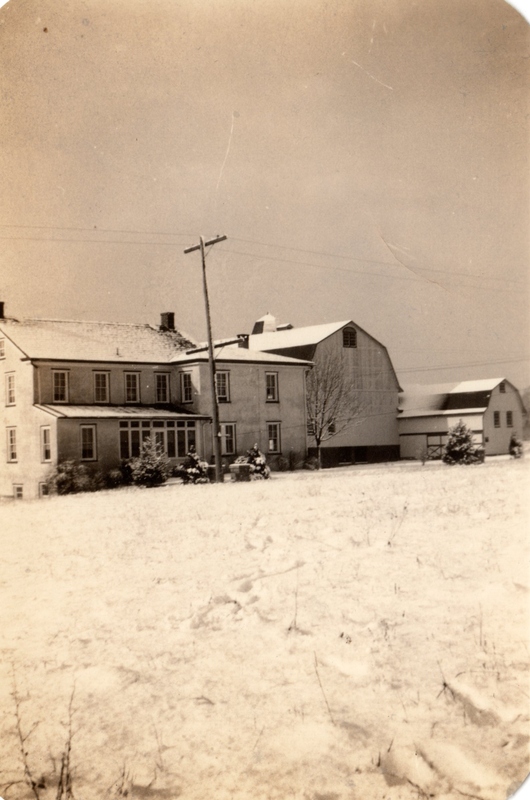 When I was a child, I lived on a farm on Snyder Road, near Lansdale, Pennsylvania. I remember we had two horses named “Prince” and “Tops” and about 30 cows and many chickens. In the summer when we weren’t in school, my sister and I had to mind the cows, so they wouldn’t get into the corn fields nearby. They were supposed to graze on the grass in the meadow. We also had to clean buckets of eggs and put them in crates. Our father would then take them to an auction to be sold. But we also had time to play with our dolls and I especially liked to play “storekeeper.” I would wrap up blocks and pretend I was selling them. I remember, too, how I liked to watch the barn swallows that made nests under the overshoot of our barn. There was a colony of ants that made their home in an old apple tree in our yard and I spent a lot of time watching them going in and out of their holes in the side of the tree. They were always so busy and I wondered why. I enjoyed going to church and Sunday school because I enjoyed singing the hymns we sang. 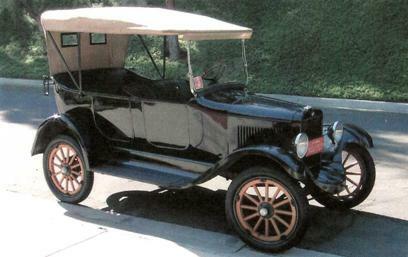 Our first car was an Overland. It was an open car and when it got cold, my Dad would fasten some isinglass curtains around the sides and we could hardly see out. When we had a lot of snow in the winter, Dad would get out the big sleigh and hitch the horses to it and take the cans of milk to the Dairy and then take us to school. He sometimes put a string of bells around the horse’s neck and it sounded Christmassy going to school. We didn’t have days off back then for snow. We often walked home from school in deep snow. We had a lot of fun doing it, and enjoyed the sleigh rides especially. In the late 1940s there was a revival in this Souderton-Franconia community. “Kenneth Good spoke at Salford and was invited to speak at Towamencin,” recalls Mary Gross. Many lives were dedicated and re-dedicated to Christ, but more importantly they caught the fervor of wanting to spread the gospel. 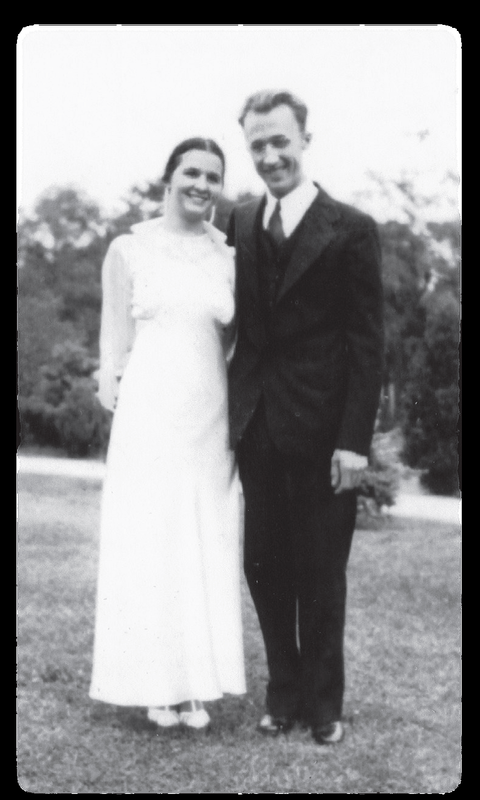 Mary, along with her husband Hiram, began to feel a “burden for mission work.” Mary had attended Towamencin Mennonite Church all her life, but remembers receiving a cold shoulder from other church members after her brother went into the military. “For Christmas, the church gave gifts to the conscientious objectors, but nothing for those that went into service.” Her brother didn’t know the Lord when he went into the military and Mary feared that this kind of treatment would never show him God’s love and mercy. Mary went to a one room school house in Mainland. The township line went through their house, but they went to Mainland School. 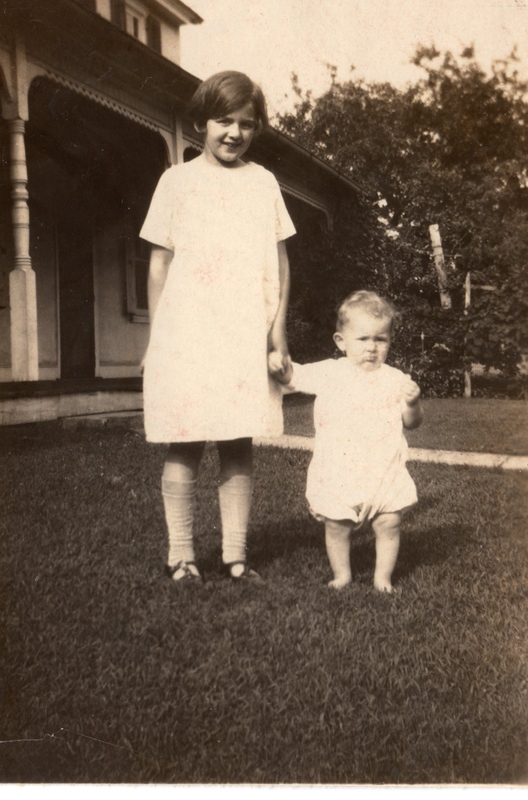 Mary was only 16 when her mother died tragically from a blood clot that formed after stomach surgery. “My mother’s funeral and viewing were one of the largest at Towamencin. I remember how hard it was to sing ‘It is well with my Soul.’“ But even more difficult was a few weeks later when she had to walk down the aisle at the Kulpsville School (10th grade) graduation ceremonies without her mother. She even delivered the salutatorian speech. After graduation, she went on to Lansdale School of Business in order to join the family business, Pleasant Valley Packing Company, to take her mother’s place as company bookkeeper. Her brothers went on to establish more family businesses in the community, including Clemens Markets and Hatfield Packing Company. Calvary’s first service in March of 1950 was at Telford Town Hall with 102 persons in attendance from all over the Indian Valley community. “It stunned a lot of people” and was widely discussed, often with labels like “firehouse Mennonites” , “dissatisfied Mennonites,” or “TV Mennonites” but the group persisted to meet and the congregation grew. It reached many community people through their message of Christian assurance and less emphasis on tradition and avoiding “worldly” items, such as televisions, wedding bands, and musical instruments. People were looking for a church that accepted them as they were and many began attending at Calvary over the past 63 years. Today, the two services on a typical Sunday morning include approximately 2400 persons. On the first Sunday of every month there is an offering for missions and evangelism is an important component of their congregational life, whether it’s through their own Mr. B’s coffeehouse or other ministries. Mary has always been involved at Calvary. “I taught Sunday School, attended a woman’s prayer group, stuffed bulletins, sang in the choir and worked in the church library. There’s always something to do. I can’t always attend now, but I still remember them in prayer. ” Mary believes the reason Calvary was so successful is because the pastors kept preaching the Word, and the congregation continued to be actively involved in the community. 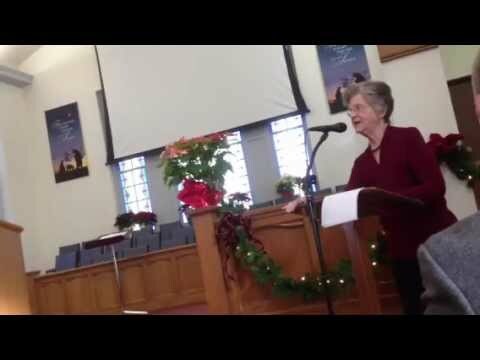 Also read author’s response to this conflict in the Mennonite church at http://wp.me/p2kRFb-kC. For the last few months I’ve been asking persons what it felt like to be alive during the late 1940’s and early 1950’s when Calvary Church in Souderton was formed. I’m not sure I still understand the feelings connected with persons wanting to leave the Mennonite church which at that time insisted upon plain clothing and a lack of “worldly” things, such as wedding bands and television sets. 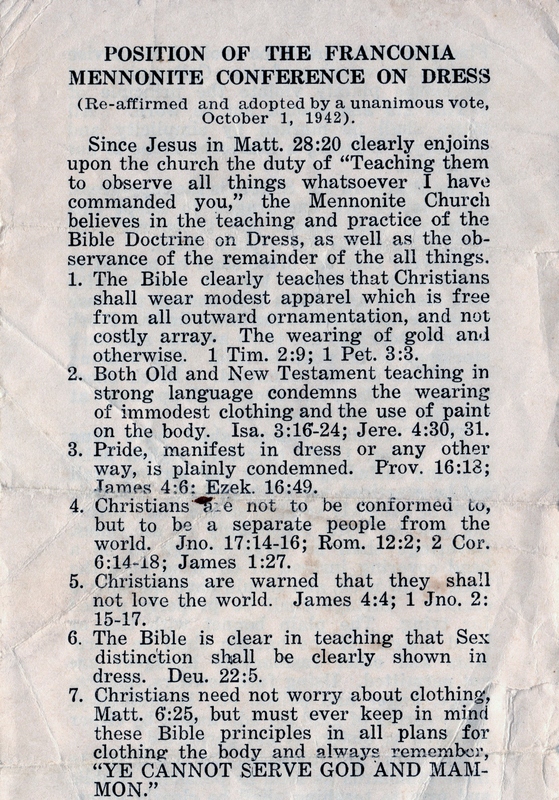 Apparently, twice a year in each congregation there was a preparatory and communion service where the bishop of Franconia Conference presided, reading rules and regulations, such as the “Position of the Franconia Mennonite Conference on Dress” (see picture above). This was a solemn time when the bishop often gave strong admonitions to abide by the rules and persons were asked to make a public confession for any infractions. To the persons starting Calvary Church in Souderton this felt like a strong emphasis on legalism that obscured many Biblical truths. They wanted to grow in their understanding of the Word, so they felt it was crucial to have trained ministers that were able to teach in more spiritual depth. They felt like their young people were especially at risk because of their desire to sing in quartets and choruses and did not think the Bishop telling these youngsters they could not participate in communion was a good approach to the issue. Through listening to Christian radio speakers and reading the Bible these former Mennonites began to see their faith as saved by grace, which lessened the importance of rules and regulations. The bottom line is that these founders of Calvary Church felt called by God to reach out to their community through missions and the congregation that developed grew by leaps and bounds. I still can’t figure out the mood of these events and why this was not seen as a church planting. Finland and Ambler were mission churches of the 1940s, but this church was seen very differently. It must have been in how the process was carried out. I’m guessing that there were raw emotions and judgments on both sides and it boiled down to persons not feeling accepted and others feeling like their authority was being questioned. Actually, this polarization seems like a common societal issue . . . disagreement with persons in power and the corruption of power. In a church with a history of persecution and church splintering, my hope is that we can learn from the past and not continue to make the same mistakes connected with legalism and learn to be peacemakers that participate in collaboration, both as a Mennonite church and as a corporate church body. To me, church disagreements arise out of a lack of communal prayer in seeking God’s guidance and allowing judgment to override our desire to see and hear God speaking through each other.